I'm seriously taken with the Eglu. I've secretly harboured desires to keep my own egg-laying chickens in the backyard, and to the rescue is this very stylish and very efficient chicken-coop alternative. Fresh eggs whenever you like! Fun pets to keep the grass short! 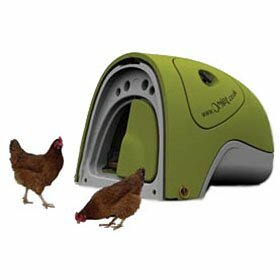 The Eglu is high on my wish-list once I get a backyard. I'll have one in green, thanks.